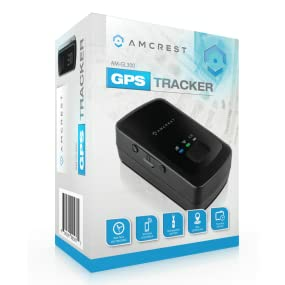 The Amcrest AM-GL300 GPS Tracking device gives you the power to track anything, at anytime. 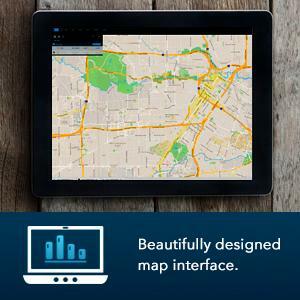 The GL-300 uses beautifully integrated maps interface to view monitored activity and manage your settings. The AM-GL300 has a water resistant, inconspicuous case that is barely larger than a matchbox: use it to track vehicles, children, pets, and more! Free US warranty service and lifetime support. 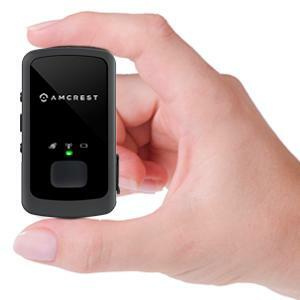 Amcrest GPS trackers are FCC certified, manufactured to the highest quality control standards, and warrantied for one full year when purchased from Amcrest Authorized Retailers. Enjoy peace of mind knowing that if your product ever needs warranty service, it will be replaced promptly from our U.S.-based operation. Along with our 1 Year Domestic Warranty, we also provide every Amcrest customer with free Lifetime Support. AM-GL300 works right out of the box! Product Dimensions: 1 3/4" x 2 1/2"